Corporate partnerships provide vital operating support for BBG’s world-class plant collections, children’s education programs, community greening initiatives, and work in plant conservation and urban ecology. In return, corporate partners receive a variety of benefits that will make a lasting impression on clients, employees, and target audiences. BBG will work with you to select a partnership that meets the needs of your company, whether it’s choosing the right corporate membership level or developing a customized sponsorship package. To learn more about corporate partnerships with Brooklyn Botanic Garden, please contact Kaitlyn Falk Wong, director of Institutional Funding, at corporate@bbg.org or at 718-623-7287. Brooklyn Botanic Garden's Corporate Membership Program provides vital support to the Garden while offering a variety of benefits to companies and their employees. Morgan Stanley Dean Whitter & Co.
To become a BBG corporate member or to request additional information, please contact Kaitlyn Falk Wong, director of Institutional Funding, at corporate@bbg.org or at 718-623-7287. The Garden presents an array of public festivals, exhibitions, and programs that attract nearly 860,000 visitors annually from New York City and beyond. BBG also hosts popular community events and offers free-admission days throughout the year to ensure that the Garden remains open and accessible to all members of our community. Sponsorship packages are customized to meet your company’s specific needs and offer a variety of benefits that ensure high visibility, client entertainment, and employee engagement opportunities. For more information about corporate membership or sponsorship opportunities, please contact Kaitlyn Falk Wong, director of Institutional Funding, at corporate@bbg.org or call 718-623-7287. 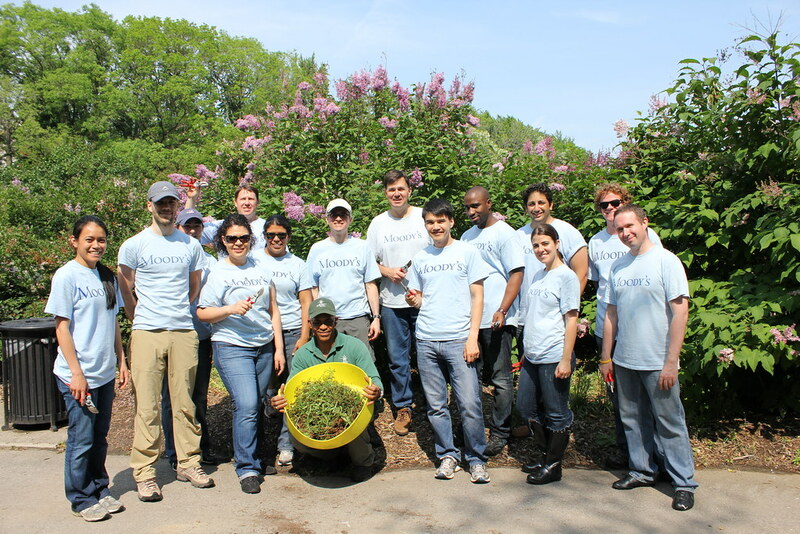 A group from corporate member Moody's volunteers at the Garden. 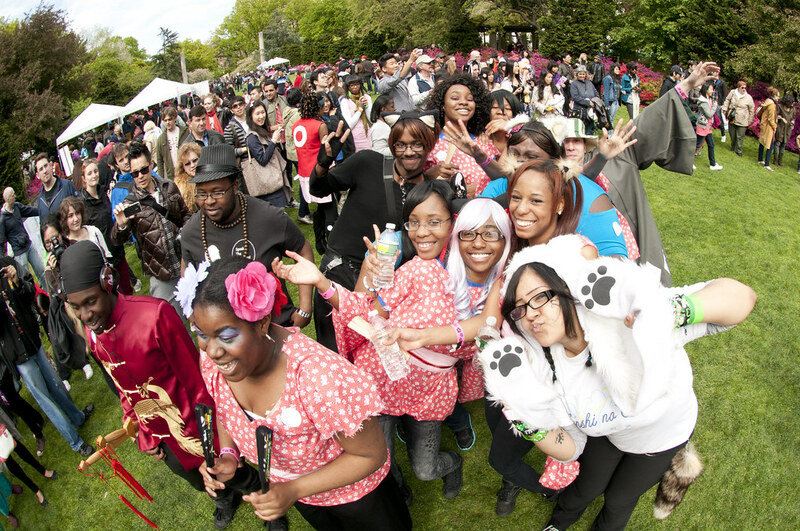 Visitors to the Sakura Matsuri Festival dance to the music of Teshi No Ai. Photo by Mike Ratliff.